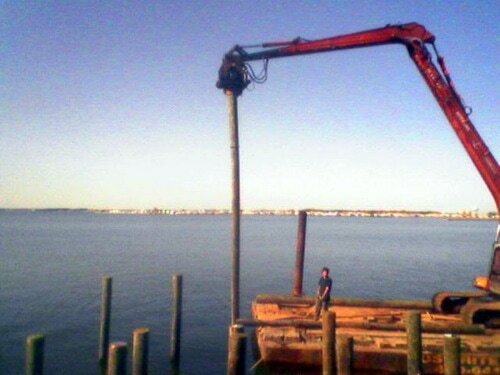 Need new piling for a boat lift or for a dock? Pile driving in Ocean City, MD and surrounding areas is one of the many jobs that we do. Piling/poles usually rot from the inside out and can threaten your dock and bulkhead structural integrity. Please contact us so we can remedy the problem and make your dock/bulkhead as if it were new.